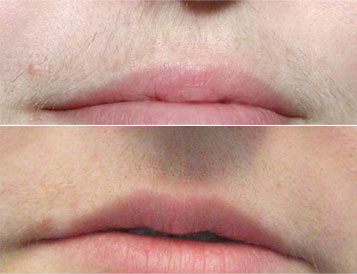 Laser hair removal is a treatment that safely and effectively removes unwanted hair. It works by targeting the brown and black pigments in the hair, effectively reducing growth with each treatment. The treatment takes approximately 30-60 minutes depending on the area and feels similar to a rubber band snap. Laser hair removal requires a series of 6-8 treatments depending on the area treated. Patients may appear pink after a treatment but that goes away in a few hours.